By the time Tim Guy formed his first high school band in Papua New Guinea, he’d been to ten schools in wildly different parts of Australia. Yet even then he showed rare artistic focus: “We played only Chuck Berry songs”. 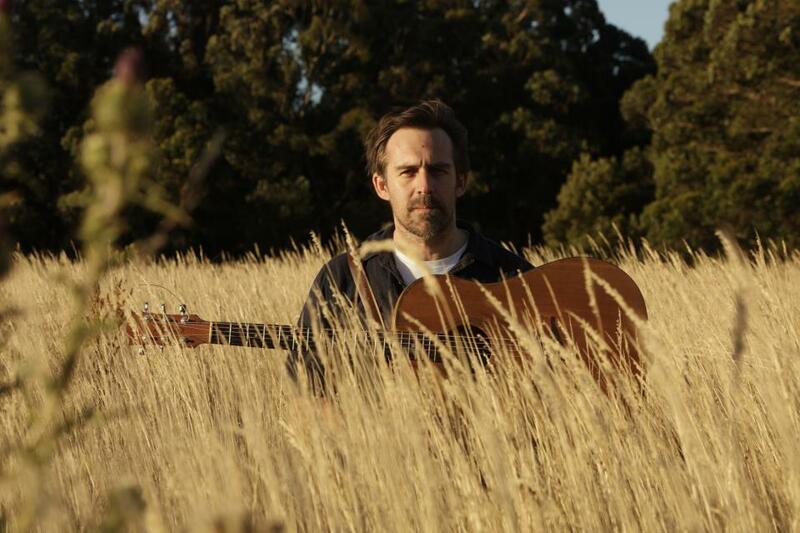 Tim has since lived and played throughout Australia, Europe and an extended stint in New Zealand, before settling in his current home of Melbourne. This could account for the two big things that strike you about his music: its worldly, colourful eclecticism and the ease with which he moves through it. It’s big, ambitious music with a real person at its core, marked by an easy confidence that draws you in. Tim’s richly varied albums chart the growth of a unique songwriting voice: the assured, largely acoustic debut Blazey (Melbourne and Christchurch, 2004); the shimmering bedroom jangle of Hummabyes (Auckland, 2007); the pocket symphonies of Big World (conceived in Spain and recorded in Auckland, 2010) and the dusty, wide open contemplation of Dreaming of a Night Mango (conceived in Northern New South Wales and recorded in Melbourne, 2013). This broad palette only proves the steady hand and vision of the artist. At a time when a “sound” can be thought of as enough, Tim Guy stands out as a servant of the song. After all, as a great mind once asked, why can’t we have both? That vibe is clear in the sparkling guitar pop of first single, ‘St. Petersburg’. Lyrically, Tim has achieved a well-earned understatement, where each word paints a thousand pictures. To hear it is to be swept up in the bewildering, irresistible romance of the city night, helped in no small part by the luscious string arrangement of Greg Walker (Machine Translations). Greg’s involvement, composing and playing string parts across the album, also “just worked”. Indeed, Tim will tell you that the whole album, including engineering to tape by Lukas Glickman (Pond, Pete Bibby) and mixing at the studio of Andy Stewart (Paul Kelly, Gotye), was “a perfect continuation of a chain of fortunate events”. These are words to make any music lover’s heart beat faster, for as we all know, sometimes there are special musical events that seem cosmically ordained – and those are the ones we live for.